Describe a place you visited but only for a short period time. and how you felt about this place. 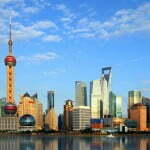 Last year I had been in Shanghai for about a week for a business trip with some colleagues. There was a client there which needed an ERP system, so we moved there to help them implement a system. I was a logistic consultant responsible for purchasing items and warehouses. 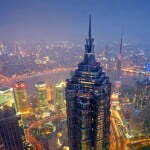 Shanghai is a big city in East China. 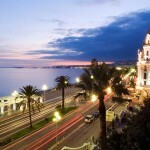 There are many large-scale domestic and foreign corporations so it is easy to seek the business opportunities there. Besides it is also renowned for attractions like the bustling City God Temple, and peaceful Century Park, the gorgeous Yu Garden, and the breath-taking Pudong skyline. What fascinated me most during that trip was the rich collection of buildings with various architectural styles. The Bund, for example, contains a wealth of well-preserved early 20th-century architecture. And also a large number of eccentric buildings sprung up recently throughout Shanghai, such as the Shanghai Museum. What didn’t appeal to me about Shanghai was that the streets in the city were so cramped and tough to identify compared with the ones in Beijing which are mostly wide and straight. amazing website . i from Punjab . Thank you for your compliment, kuldeep. There couldn’t be any problems with the page. Please clear your browser cache and try again. If the problem still exists, plz tell me.